The Department of the Chief Minister is a central agency that services the needs of the Chief Minister and Cabinet as well as the Leader of the Opposition. Similar to a Department of Premier and Cabinet in other States or the Department of the Prime Minister nationally, the Department of the Chief Minister is the central strategic coordinating arm of Government. It has a special role to play in implementing the priorities of Government as well as providing leadership across the public sector. The Department is also home to a number of strategic government units, including Social Policy and Security and Emergency Recovery. Promote to the mining industry, the diverse range of services and products available in Katherine region. 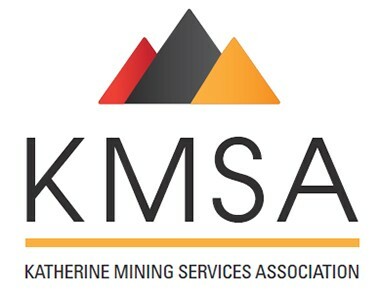 Encourage mining companies and their contractors to procure the majority of their services and supplies from KMSA members. Increase productivity and longevity of local businesses so extra jobs are created and our young people have more opportunities. The Minerals Council of Australia represents Australia’s exploration, mining and minerals processing industry, nationally and internationally, in its contribution to sustainable development and society. AMEC facilitates a positive political and economic environment to grow the exploration and mining industry. Energy Club NT is an industry aligned, values driven organisation supporting a wide demographic of professionals in the energy sector including conventional and unconventional oil and gas, gas manufacturing, renewables and alternative energy sources. Energy Club NT is a not-for-profit association fostering professional relationships, business networking, research and development opportunities and collaboration that contributes to the growth of the energy industry. Magazine distribution, in turn delivers on these principals in a push strategy that puts the magazine into the hands of a targeted readership researched over time and in numbers that are representative of key decision makers in the mining and energy sectors, Australia wide. The unique coverage makes the National Resources Review a vital source of information for resources executives and industry decision makers across Australia. EnergyNewsPremium.net ( ENP) is a new service designed to give you an in-depth look into Australasia’s energy industry, with a focus on the rapidly growing petroleum sector. A complementary service to the popular EnergyNewsBulletin.net, ENP’s daily coverage of the latest trends, issues and developments, from the fast growing liquefied natural gas sector to the emerging shale gas and renewable energy sectors, makes it a must read for all members of the sector as well as investors and market providers. EnergyNewsBulletin.net is published by Aspermont Limited, publisher of a range of high quality print and online products see www.aspermont.com. EnergyNewsBulletin.net provides comprehensive oil and gas industry news and information to oil and gas explorers and producers, industry investors and others. Build Australia introduces fresh and exciting options to promote and publicise industry achievement, respecting the past and celebrating the present while also anticipating the future. Build Australia magazine is uncompromising in its mission to showcase only the most outstanding projects in the nation giving voice to the companies that are driving them forward. We profile the people behind the scene, investigate the challenges faced and overcome, and highlight innovation in techniques and materials. Territory Q: the Northern Territory Magazine of the Year, a high-quality publication covering business throughout northern Australia – distributed free to business owners and managers ever quarter. Upstream is the world’s leading oil and gas industry news and business intelligence source and is read by almost 40,000 influential executives across 104 countries weekly. The business philosophy is to generate and distribute quality independent news and insight on the global oil and gas industry.